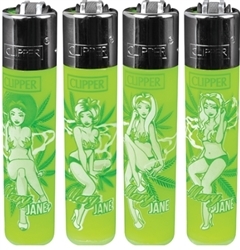 Clipper lighter with Mary Jane pin-up girls designs. Clipper lighter have a built in poker and easy to turn lighting wheel. 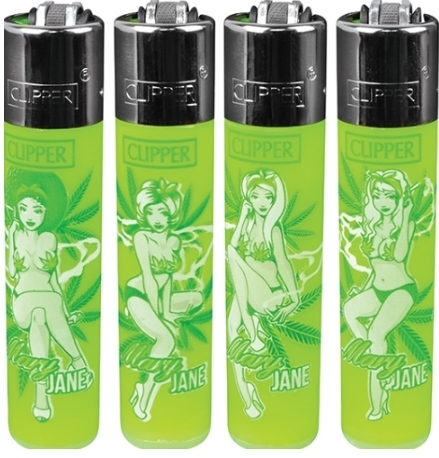 Each box contains 48 Clipper lighters in 4 Mary Jane pin-up girl designs.